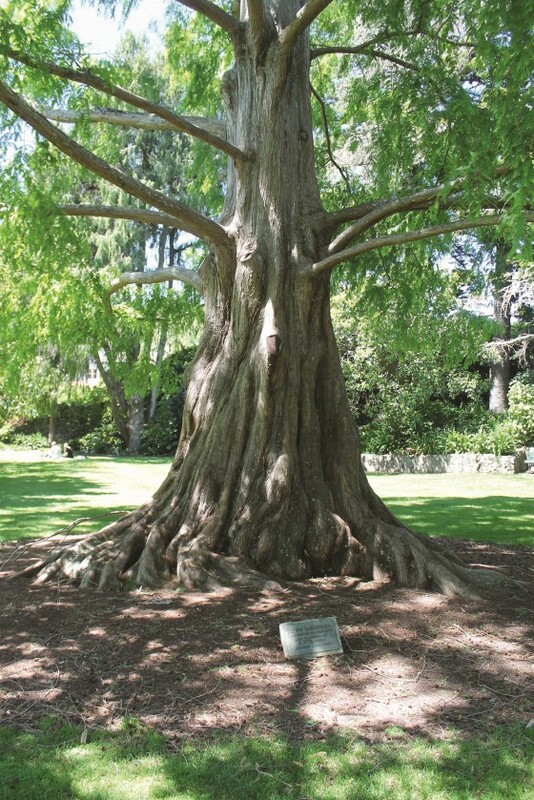 The Dawn Redwood is the last surviving member of ancient genus – Metasequoia. It is related to two other members of the cypress family also known as Redwoods: the Coast Redwood and the Giant Redwood. Although smaller than both of these giant species, it can still grow to a height of at least 60m. Endemic to central China, this species is a living fossil first discovered in the wild in 1943. 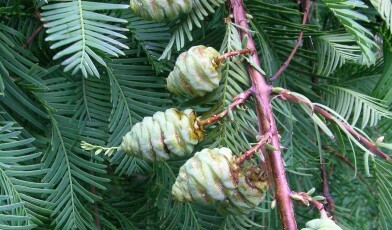 The bark and foliage are very similar to the other redwood species but unlike these other species, the dawn redwood is deciduous – its needles turn from green to a foxy reddish brown in autumn. It is a riparian species that occurs only in a limited region in the border area between Hubei and Hunan and in Chongqing Municipality. The several subpopulations are all reduced to a few mature individual trees with little chance of natural regeneration due to changes in land use. The large mature trees have all been afforded some level of protection, although efforts to protect the species more widely are currently lacking. The Global Survey of Ex situ Conifer Collections (Shaw & Hird, 2014) reports that this is the most common threatened conifer taxa reported in ex situ collections globally, with 316 collections. This taxon provides a good example of international collaborative conservation efforts. The Arnold Arboretum and several partner institutions helped to collect the species from the wild in 1947, then distributed seeds to locations worldwide. While it is unlikely that this species will become Extinct due to its wide use as an ornamental tree and presence in many ex situ collections around the world, wild populations remain at risk and conservation measures in situ are a high priority.